We are pleased to annouce this property was sold on 02 May 2017! 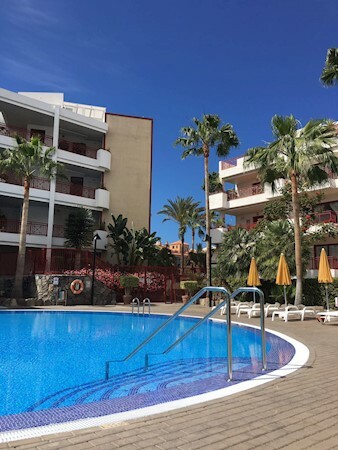 Delightful, spacious apartment on this lovely complex in Palm Mar. Close to all amenities and just a short walk from the promenade and beach. The property has two bedrooms and two bathrooms, large living room, separate kitchen and utility room. There is a good sized terrace that affords a sea view. Sold fully furnished the price also includes a secure, underground parking space and private storeroom.